Santa visited Brunswick No. 1 today. 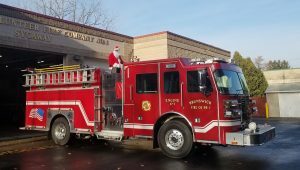 He will be touring the district today, then return to the station during our Kids Christmas Party! All are welcome. Santa will be at Brunswick No. 1 from 10:00 AM till 12::00 PM.